When brewed the hibiscus gives a deep red infusion similar to grenadine with a taste close to lemonade. Hibiscus is tangy and enriched with vitamin C. Since it is caffeine free, it can be enjoy during any time of the day. 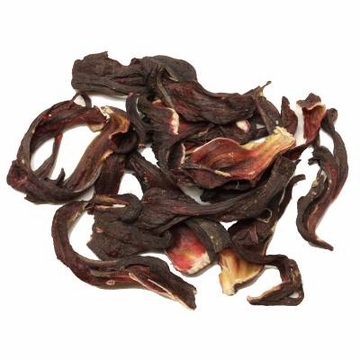 This hibiscus floral tea taste great with some sugar or honey. 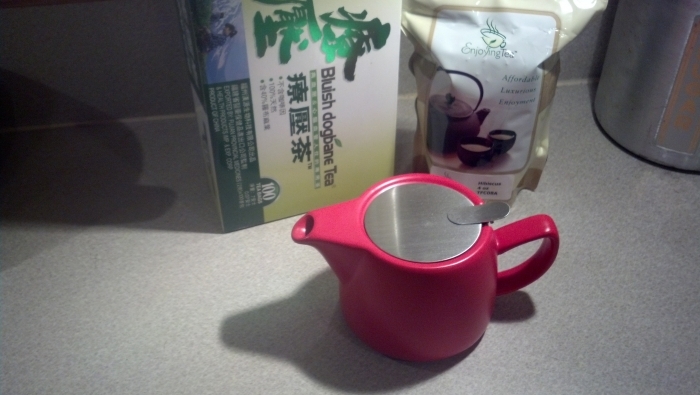 You can also mix the hibiscus with other tea to create your own favorite blend. 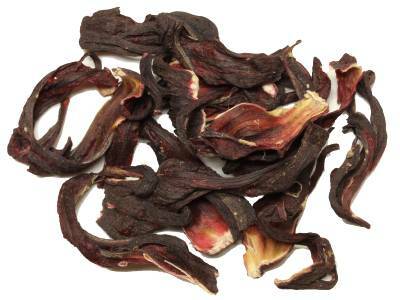 Enjoying Tea sells hibiscus tea in whole-flower format, rather than in some broken or crushed format. Most people will prefer to use some kind of sweetener with it, which transforms the flavor from its normal bitterness to something pleasant and almost fruity. It also has well-documented blood-pressure reduction properties. I love hibiscus especially at night and mixed with rose hip tea. The flowers are big and smell divine. This steeps to a deep red tart tea that blends so good with lemonaid for the summer. I was so surprised by this tea! I hadn't thought about the color and it turned out to be a vivid scarlet! The tea is bright and delicious without any bitterness. For only like $25 you get a pound of hibiscus. The bag is huge, there's a lot of hibiscus, it's good quality. Hibiscus is definitely one of my favorite herbal "teas". It's great for when you're sick, especially with some orange juice. Best tea ever! The quality is superb! I picked this up when I read that it lowered blood pressure. I'd been using Mamaki from Hawai'i, but it's very expensive and hard to get at times. I found Hibiscus tastes wonderful. I boil a few flowers in my kettle and then drink it cold later on with some sweetener. I've been drinking daily, and I love it. It is my favorite non-tea, tea, It's such a pretty color too. gave it to a family member, they enjoyed it. can't find hibiscus tea any where but here. thanks for making it available! I am enjoying my hibiscus tea everyday. I drink it cold and it quenches my thirst. Tea seems to be fresh and good quality and reasonably priced. No complaints here. That's why I ordered some more. This is my second time ordering this tea. It makes excellent syrup. I Absolutely love this tea. I have some every night , i sleep better since i started drinking this tea. You get alot of tea for the money. It is very fresh and taste great. Tart, tangy, nice red color. They say it lowers blood pressure so I'm going to try it. I think I feel calm already! I love this hot or cold. It is refreshing to drink at all times. Having the flowers whole makes it much more beautiful.